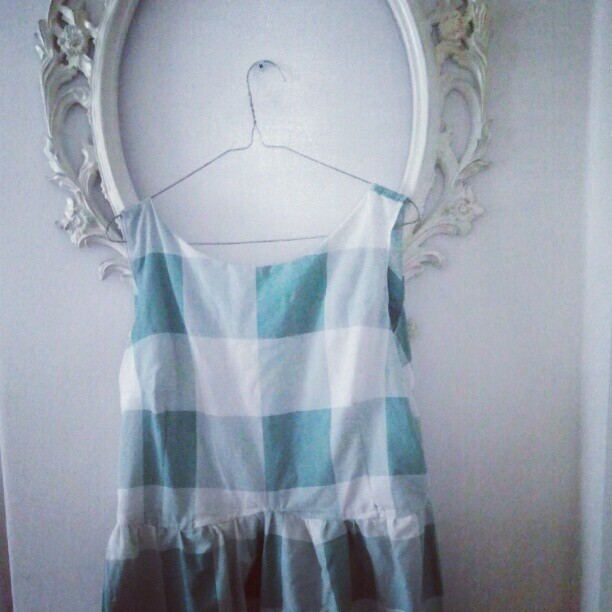 Retro dress from vintage sheets. In Ireland all I seem to hear is bad news about the economy and how much trouble we’re in. All this serious talk is scary so I’ve applied practical solutions to make me feel less worried. Run out of food money? – Grow your own! – Now I can have green tomatoes and inch long carrots whenever I want. 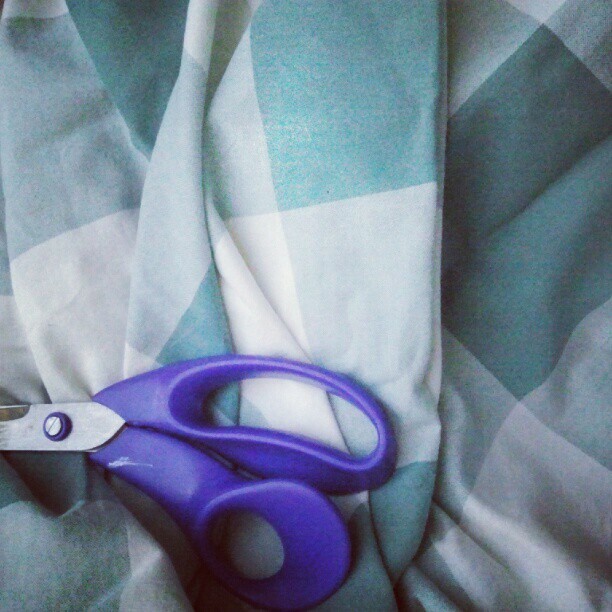 My latest experiment is making my own clothes. 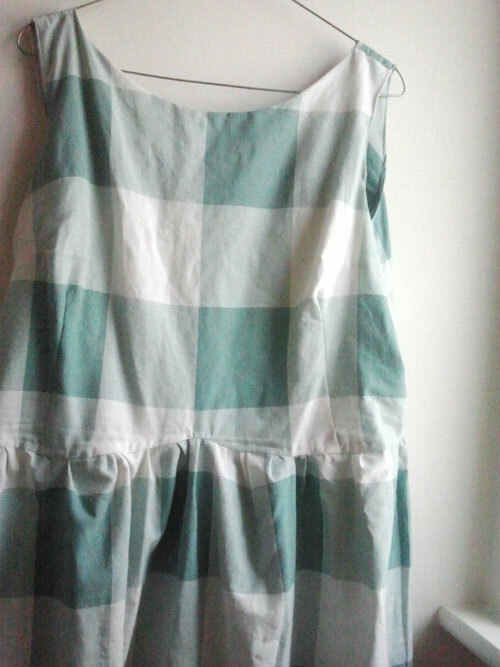 This Retro style dress is made out of an old sheet. 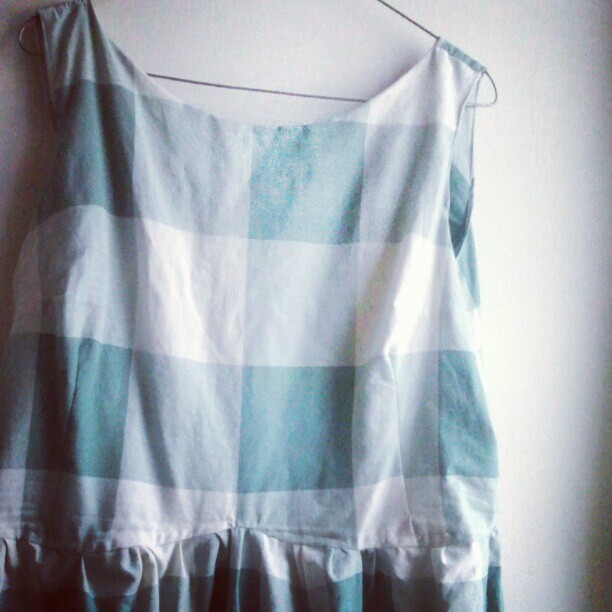 I drafted the pattern by reverse engineering a dress I had that I liked the fit of. 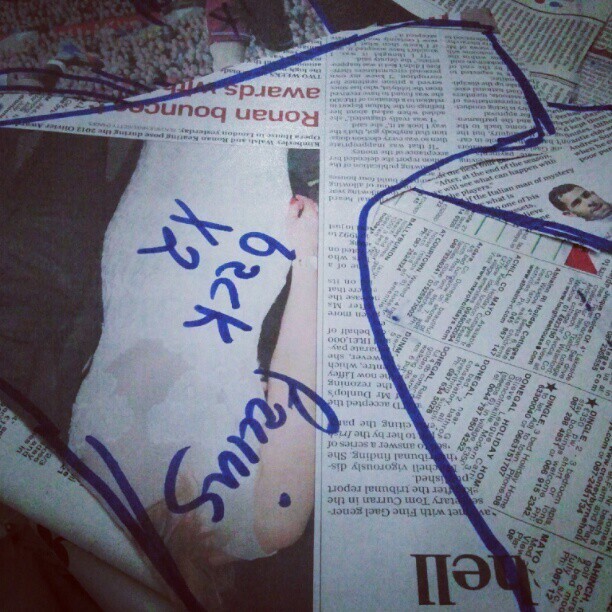 I just drew around the dress, folding it in half . The pa tterns are cut on the fold. Push the edges away to draw around them. I made a bodice front and back, facing for the neck and sleeves and three parts for the skirt (2 back, 1 front). 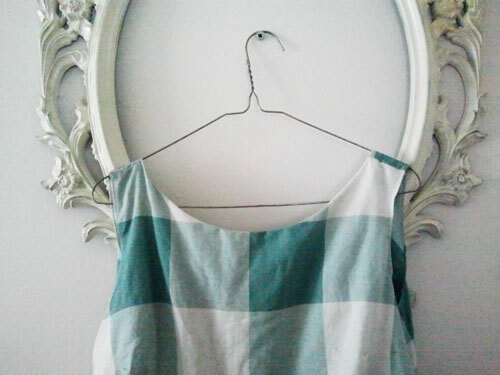 Draw around your pattern onto your fabric – I used tailors chalk but soap works just as well. Cut out. Assemble your facing and bodice and sew. The skirt is easy, you just sew the edges together. Then gather your skirt . Stitch long stitches around top of the skirt- I find it easier to hand sew them. Pull the threads and gather the fabric. Pin to the bodice, right sides together, at the centre and side points. Make sure the gathers are even and sew both together. You can hem the skirt by sewing or by using iron on hemming tape which is easy and it stiffens the end of the dress which works nicely with wide skirts. These lovely dresses are from avoca – love! This entry was posted in Craft and tagged Sewing, thrifty, vintage.